Notice that the cash price, P, is equal to the credit price, P', multiplied by (1 - d): P = P'(1 - d), or, equivalently, P' = P/(1 - d). The situation at Locust is now a little more complicated. If a switch is made from the current policy of no credit, then the benefit from the switch will come from both the higher price (P') and, potentially, the increased quantity sold (Q'). Furthermore, in our previous case, it was reasonable to assume that all customers took the credit, because it was free. Now, not all customers will take the credit because a discount is offered. 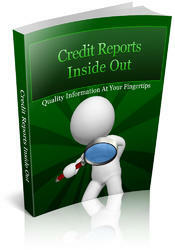 In addition, of the customers who do take the credit offered, a certain percentage will not pay. NPV of the Credit Decision Currently, Locust sells Q units at a price of P = $49. Locust is considering a new policy that involves 30 days' credit and an increase in price to P' = $50 on credit sales. The cash price will remain at $49, so Locust is effectively allowing a discount of ($50 - 49)/50 = 2% for cash. What is the NPV to Locust of extending credit? To answer, note that Locust is already receiving (P - v)Q every month. With the new, higher price, this will rise to (P' - v)Q, assuming that everybody pays. However, because ^ percent of sales will not be collected, Locust will only collect on (1 - X P'Q; so net receipts will be [(1 - rn)P' - v] X Q. 4The reason is that all customers are offered the same terms. If the NPV of offering credit is $100, assuming that all customers switch, then it will be $50 if only 50 percent of our customers switch. The hidden assumption is that the default rate is a constant percentage of credit sales. Because the NPV of the change is negative, Locust shouldn't switch. 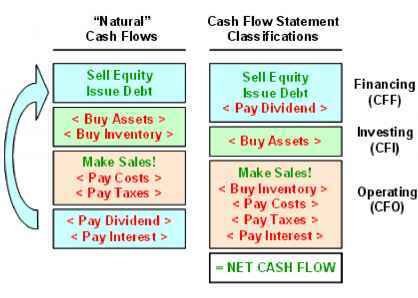 In our expression for NPV, the key elements are the cash discount percentage (d) and the default rate (^). One thing we see immediately is that, if the percentage of sales that goes uncollected exceeds the discount percentage, then d - ^ is negative. Obviously, the NPV of the switch would then be negative as well. More generally, our result tells us that the decision to grant credit here is a trade-off between getting a higher price, thereby increasing sales revenues, and not collecting on some fraction of those sales. With this in mind, note that P'Q X (d - is the increase in sales less the portion of that increase that won't be collected. This is the incremental cash inflow from the switch in credit policy. If d is 5 percent and ^ is 2 percent, for example, then, loosely speaking, revenues are increasing by 5 percent because of the higher price, but collections only rise by 3 percent because the default rate is 2 percent. Unless d > we will actually have a decrease in cash inflows from the switch.